Hospitals are considered the center for quality healthcare in the communities they serve. In times of need, they can act as the hub when community organizations come together to offer support and assistance. When Kathy Walker woke up on the morning of Friday, April 27, 2018, her left leg was swollen and she felt short of breath. 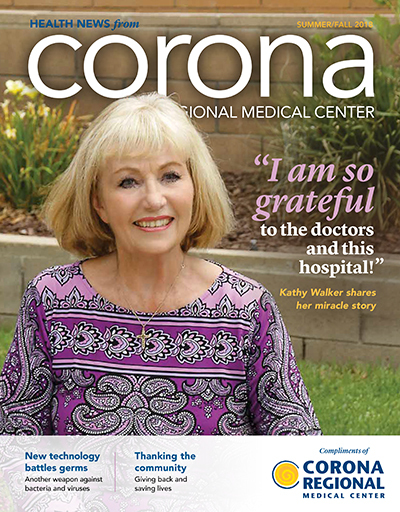 Patient safety is a top priority at Corona Regional Medical Center, and we continue to look for ways to best protect the health and well-being of patients, their families and visitors. At the Wound Care Center at Corona Regional Medical Center®, a talented team of specialists treats stubborn, chronic wounds with a healing rate of 97 percent.